Summary Recommendations: Penicillin is an antibiotic prescribed to fight bacterial infections. If you are allergic to penicillin, tell your doctor before taking the first dose and negative side effects can occur that may affect your pregnancy and fetus. General Precautions: The most common problem with penicillin is possible allergic reaction. If you are allergic to penicillin or cephalosporins, tell your doctor about the allergy. People with asthma, bleeding disorder, clotting disorder, kidney disease and diarrhea associated with antibiotics should report these conditions to their physician. It is also important to tell your doctor about all allergies, including seasonal, food and contact allergies as these allergies could indicate an increased risk of penicillin allergy. Always take the full course of penicillin to completely cure the bacterial infection. There is a good chance your symptoms will disappear before the full course of antibiotics is completed. This is not an indication that the infection has been cured. Effect While Trying to Conceive: There does not appear to be any negative impact on fertility in men or women taking penicillin. 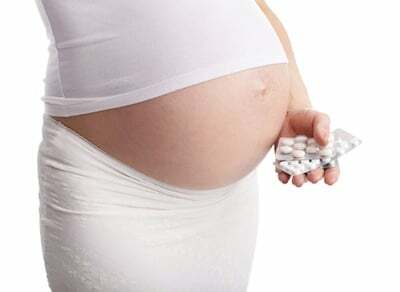 Effects on Pregnancy: Penicillins are all in the pregnancy category B. This drug has been around for a long time and history has shown no negative impact on pregnancy in women free of penicillin allergy. Diarrhea is often associated with antibiotic use. If diarrhea appears to contain blood or lasts for more than a few days, contact your physician as this could be a sign of an allergy to penicillin. While penicillin does not cause yeast infections it can kill the healthy bacteria in the vaginal that stop yeast infections from developing. If you notice signs of yeast infection, including foul smelling odor or discharge or vaginal irritation or itching, contact your obstetrician. There are medications to treat yeast infection that are safe for use during pregnancy. Never use an over the counter yeast infection treatment without first consulting your obstetrician. Safe During Breastfeeding: Penicillin passes into breast milk in small amounts. There are no reported negative side effects associated with penicillin use while breastfeeding. Often, the infection for which the penicillin is prescribed is more likely to cause problems breastfeeding than the medication.